iTV Shows App for iPad and iPhone | Just the best way to love series. iTV Shows 3 is the best series tracker you’ve ever seen. 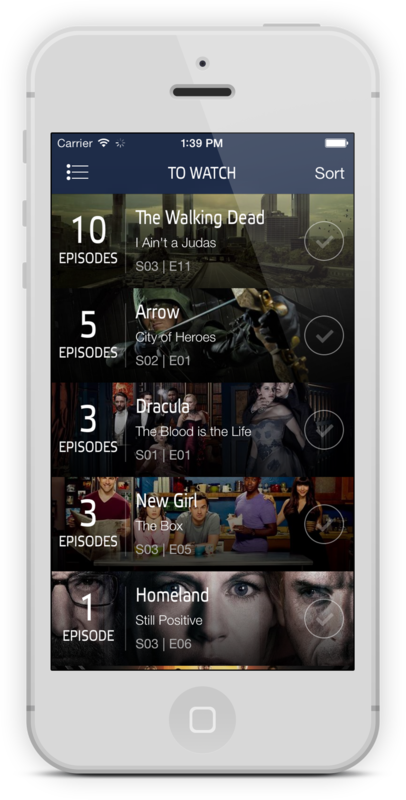 This powerful app helps you follow your favorite shows and discover new ones in just minutes. Designed exclusively for iPad and iPhone. iTV Shows gets its information from the very popular databases TheTVDB.com and TVRage.com. You bet, we know everything. Finding new shows is never easy. Let Genius do it for you. Based on others users favorites series, iTV Shows will suggest you new shows that you'll love! 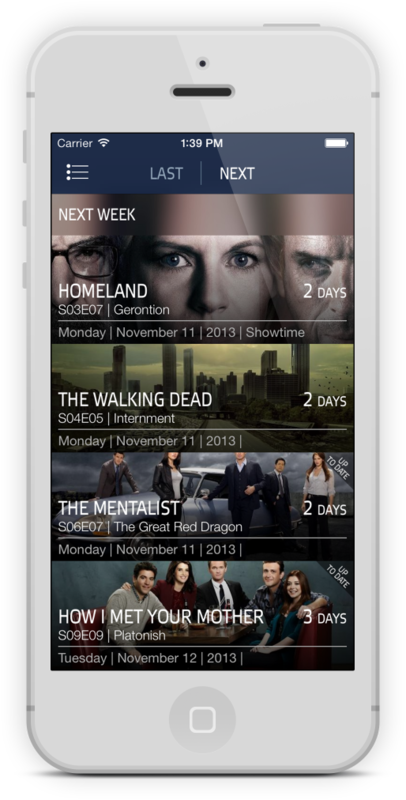 Mark your episodes as watched to keep tracks of your shows. iTV Shows always remembers and tells you what's on next. Thanks to the notifications, you'll never miss an episode again. iTV Shows knows everything, and that’s all that matters. 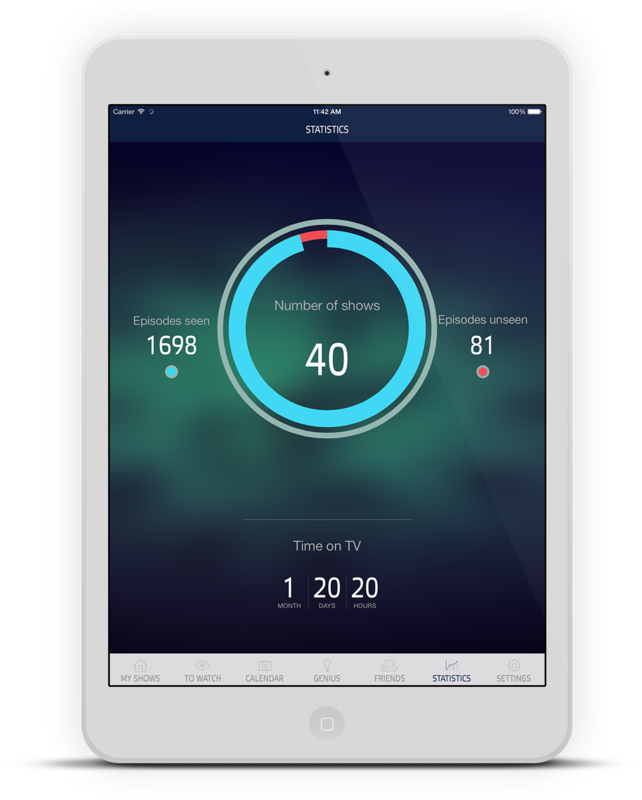 With iCloud built in, your series and watched episodes are kept up to date across all your devices. Don't forget to sign up for our newsletter to receive news about iTV Shows.